Those claims about Al Gore inventing the Internet can be laid to rest. iMinds traces the origins of the Internet all the way back to the 1960s, when the United States government, reacting to Russia's launch of Sputnik 1, formed the Advanced Research Projects Agency to advance American science and technology. Soon, a network between different computers was established, enabling governmental institutions to share information quickly and easily. With striking clarity that condenses the complicated history of the Internet into an understandable narrative, Luca James Lee demonstrates the evolution of a strictly government network to the Internet we know today. 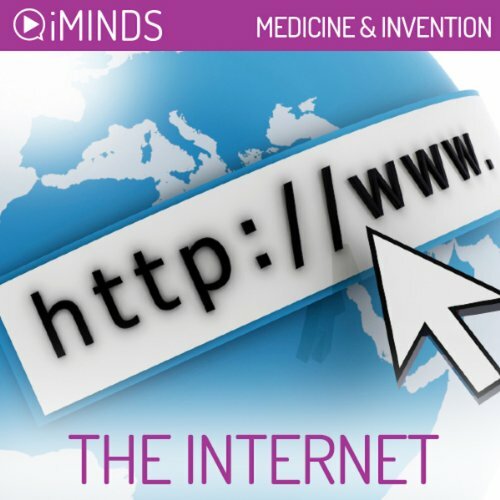 Learn about the invention of The Internet with iMinds insightful audio knowledge series. The story of the Internet begins in the early 1960s, when Russia launched Sputnik 1, the first artificial earth satellite. Afraid of the technological potential of the Russians, the United States Department of Defense formed the Advanced Research Projects Agency (ARPA), in order to develop US science and technology, and in particular its application in the military. In order to share information between different US military and research institutions, a network was established between different computers. A government agency called RAND developed the idea of a decentralized network - so if one location was attacked, the others would still be able to connect to each other. This network, known as ARPANET, was built by a company called BBN. The first email program was created by BNN in 1972.